^ 1.0 1.1 クリエイターズファイル 第127回. Gpara.com. 2003-11-04 [2011-04-28]. （原始内容存档于2011-09-30） （日语）. ^ 3.0 3.1 Fahs, Travis. IGN Presents the History of Survival Horror. IGN.com. IGN Entertainment, Inc: 5. [2010-12-30]. （原始内容存档于2010-06-29）. ^ 4.0 4.1 4.2 4.3 4.4 Fielder, Joe. Silent Hill Review for PlayStation. GameSpot. CBS Interactive Inc. 1999-02-23 [2011-01-05]. （原始内容存档于2007-10-17）. ^ 5.0 5.1 5.2 5.3 Baldric. Silent Hill Review for the PS. Game Revolution. AtomicOnline, LLC. 1999-03-01 [2008-11-05]. （原始内容存档于2008-05-09）. ^ 6.0 6.1 Fatt, Bobba. Silent Hill Review. GamePro. GamePro Media, Inc. 2000-11-24 [2008-11-05]. （原始内容存档于2008-12-27）. ^ 7.0 7.1 7.2 Reyes, Francesca. Silent Hill – PlayStation Review. IGN.com. IGN Entertainment, Inc. 1999-02-24 [2008-11-05]. （原始内容存档于2008-09-29）. ^ 8.0 8.1 Konami Computer Entertainment Tokyo, Inc, Silent Hill, PlayStation, Konami of America, Inc., 1999-01-31, Harry: It's not me. This whole town... it's being invaded by the Otherworld. A world of someone's nightmarish delusions come to life. Little by little, the invasion is spreading. Trying to swallow up everything in darkness. I think I'm finally beginning to understand what that lady was talking about. ^ Konami Computer Entertainment Tokyo, Inc, Silent Hill, PlayStation, Konami of America, Inc., 1999-01-31, Dahlia: I knew you'd come. You want the girl, right? / Harry: The girl!? You're talking about Cheryl!? / Dahlia: I see everything. / Harry: You know something? Tell me! [...] / Dahlia: Here, the Flauros, a cage of peace. It can break through the walls of darkness and counteract the wrath of the underworld. These will help you. Make haste to the hospital before it's too late. ^ 10.0 10.1 10.2 Silent Hill Character Commentary. Silent Hill 3 公式完全攻略ガイド/失われた記憶 サイレントヒル・クロニクル [Silent Hill 3 Official Strategy Guide / Lost Memories: Silent Hill Chronicle]. NTT Publishing Co., Ltd. 2003-07-31: 24. ISBN 4-7571-8145-0 （日语）. ^ Konami Computer Entertainment Tokyo, Inc, Silent Hill, PlayStation, Konami of America, Inc., 1999-01-31, Harry: Was I dreaming? / Cybil: How do you feel? / Harry: Like I've been run over by a truck, but I'm alright, I guess. [...] / Cybil: What's your name? / Harry: Harry... Harry Mason. / Cybil: Cybil Bennett. I'm a police officer from Brahms, the next town over. The phones are all dead, and the radio, too. I'm going back to call in some reinforcements. ^ Konami Computer Entertainment Tokyo, Inc, Silent Hill, PlayStation, Konami of America, Inc., 1999-01-31, Kaufmann: Thank God. Another human being. / Harry: Do you work here? / Kaufmann: I'm Doctor Michael Kaufmann. I work at this hospital. / Harry: So maybe you can tell me what's going on. / Kaufmann: I really can't say. I was taking a nap in this staff room. When I woke up, it was like this. Everyone seems to have disappeared. And it's snowing out, this time of year. Something's gone seriously wrong. Did you see those monsters? Have you ever seen such aberrations? Ever even heard of such things? You and I both know creatures like that don't exist. ^ 13.0 13.1 Silent Hill Character Commentary. Silent Hill 3 公式完全攻略ガイド/失われた記憶 サイレントヒル・クロニクル [Silent Hill 3 Official Strategy Guide / Lost Memories: Silent Hill Chronicle]. NTT Publishing Co., Ltd. 2003-07-31: 25. ISBN 4-7571-8145-0 （日语）. ^ Konami Computer Entertainment Tokyo, Inc, Silent Hill, PlayStation, Konami of America, Inc., 1999-01-31, Harry: It's you. / Dahlia: Yes. Dahlia Gillespie. / Harry: Tell me everything you know. What's going on? / Dahlia: Darkness. The town is being devoured by darkness. [...] Only you can stop it now. Have you not seen the crest marked on the ground all over town? / Harry: So that's what I saw in the schoolyard. What does it mean? / Dahlia: It is the mark of Samael. Don't let it be completed. ^ Konami Computer Entertainment Tokyo, Inc, Silent Hill, PlayStation, Konami of America, Inc., 1999-01-31, Dahlia: The demon is awakening! [...] And what's more, the task is almost finished. There's only two left. To seal this town to the abyss, the mark of Samael. [...] Harry: So what am I supposed to do? I've got to save Cheryl. / Dahlia: It is simple. Stop the demon. The demon, the demon taking that child's form. Stop it before your daughter becomes a sacrifice. ^ XII: The Hanged Man – Douglas Cartland. Silent Hill 3 公式完全攻略ガイド/失われた記憶 サイレントヒル・クロニクル [Silent Hill 3 Official Strategy Guide / Lost Memories: Silent Hill Chronicle]. NTT Publishing Co., Ltd. 2003-07-31: 99. ISBN 4-7571-8145-0 （日语）. ^ 17.0 17.1 Silent Hill Ending Analysis. Silent Hill 3 公式完全攻略ガイド/失われた記憶 サイレントヒル・クロニクル [Silent Hill 3 Official Strategy Guide / Lost Memories: Silent Hill Chronicle]. NTT Publishing Co., Ltd. 2003-07-31: 28–29. ISBN 4-7571-8145-0 （日语）. ^ III: The Empress – Alessa. Silent Hill 3 公式完全攻略ガイド/失われた記憶 サイレントヒル・クロニクル [Silent Hill 3 Official Strategy Guide / Lost Memories: Silent Hill Chronicle]. NTT Publishing Co., Ltd. 2003-07-31: 88. ISBN 4-7571-8145-0 （日语）. ^ Konami Computer Entertainment Tokyo, Inc, Silent Hill, PlayStation, Konami of America, Inc., 1999-01-31, Dahlia: You've been a ghastly little pest, haven't you Alessa? I was careless, thinking you couldn't escape from our spell. But Mommy didn't know how much you'd grown. That's why I couldn't catch you all by myself. But what a pity, yes? Now you're half indebted to this man for his help. ^ Alessa's History. Silent Hill 3 公式完全攻略ガイド/失われた記憶 サイレントヒル・クロニクル [Silent Hill 3 Official Strategy Guide / Lost Memories: Silent Hill Chronicle]. NTT Publishing Co., Ltd. 2003-07-31: 8. ISBN 4-7571-8145-0 （日语）. ^ 22.0 22.1 Silent Hill Series – Characters Relation Map. Silent Hill 3 公式完全攻略ガイド/失われた記憶 サイレントヒル・クロニクル [Silent Hill 3 Official Strategy Guide / Lost Memories: Silent Hill Chronicle]. NTT Publishing Co., Ltd. 2003-07-31: 11. ISBN 4-7571-8145-0 （日语）. ^ Konami Computer Entertainment Tokyo, Inc, Silent Hill, PlayStation, Konami of America, Inc., 1999-01-31, Dahlia: Everything is going according to plan. Sheltered in the womb. / Man: But it's not done yet. Half the soul is lost. That is why the seed lies dormant. [...] But the power we could draw now would be very weak; almost nothing. Unless we get the other half of the soul... / Dahlia: We'll use a magical spell. Feeling this child's pain, it's sure to come. ^ Konami Computer Entertainment Tokyo, Inc, Silent Hill, PlayStation, Konami of America, Inc., 1999-01-31, Cybil: Harry... Why did they take your daughter? Why her? / Harry: I'm not sure myself. But, you know, Cheryl isn't my biological daughter. I actually haven't told her yet. She probably already knows anyway, though. We found her abandoned on the side of the highway. Nobody knew where she came from. We didn't have any kids of our own, my wife was sick, and it didn't look like she was getting any better. So we took Cheryl in. ^ 27.0 27.1 27.2 27.3 Kalabakov, Daniel. Interview with Akira Yamaoka. Spelmusik.net. 2002-07-16 [2011-05-13]. （原始内容存档于2007-06-29）. ^ E3 2001: Silent Hill 2 Interview. IGN.com. IGN Entertainment, Inc. 2001-05-17 [2010-12-26]. （原始内容存档于2011-05-25）. ^ IGN Top 100 Games 2007 – 97: Silent Hill 2. IGN.com. IGN Entertainment, Inc. 2007 [2010-12-26]. （原始内容存档于2010-06-16）. ^ 30.0 30.1 30.2 30.3 30.4 30.5 30.6 30.7 Villner, Pär. Mörkerseende. Level (Reset Media AB). 2008-03, (23): 85–93 （瑞典语）. ^ Ito, Masahiro. Nobu bbs: scenario writers. GMO Media, Inc. 2010-06-14 [2010-06-14]. （原始内容存档于2010-08-16）. The first SILENT HILL is Keiichiro Toyama's original scenario. But Hiroyuki Owaku had charge of that riddle part. ^ 制作物. Latina International Corporation. [2011-05-14]. （原始内容存档于2011-05-14） （日语）. ^ 35.0 35.1 35.2 35.3 Dieubussy. Interview with Takayoshi Sato: Seizing New Creations. Core Gamers. 2009-05-15 [2011-01-06]. （原始内容存档于2011-01-06）. ^ 36.0 36.1 36.2 36.3 36.4 Sheffield, Brandon. Silence Is Golden: Takayoshi Sato's Occidental Journey. Gamasutra. United Business Media LLC. 2005-08-25 [2011-05-13]. （原始内容存档于2012-11-04）. ^ 37.0 37.1 Sato, Takayoshi. My Resume. SatoWorks. [2011-01-06]. （原始内容存档于2011-01-06）. ^ 38.0 38.1 Williams, Bryn; Vasconcellos, Eduardo. Top 25 PSone Games of All-Time. GameSpy. IGN Entertainment, Inc. 2005-09-07 [2007-07-08]. （原始内容存档于2014-11-06）. ^ ECTS: Konami Gears Up. IGN.com. IGN Entertainment, Inc. 1998-09-08 [2008-11-23]. （原始内容存档于2007-09-01）. ^ Metal Gear to Arrive Demo-less. IGN.com. IGN Entertainment, Inc. 1998-09-04 [2010-08-10]. （原始内容存档于2007-02-09）. ^ V: The Hierophant - Key Items. Silent Hill 3 公式完全攻略ガイド/失われた記憶 サイレントヒル・クロニクル [Silent Hill 3 Official Strategy Guide / Lost Memories: Silent Hill Chronicle]. NTT Publishing Co., Ltd. 2003-07-31: 91. ISBN 4-7571-8145-0 （日语）. ^ 44.0 44.1 44.2 Silent Hill Original Soundtracks (Media notes). Konami Co., Ltd. 1999. KICA-7950. 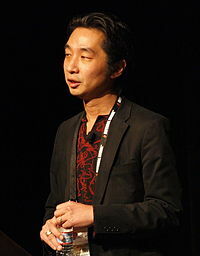 ^ Interview with Akira Yamaoka. Spelmusik.net. [2015-10-30]. （原始内容存档于2006-06-26）. ^ Weigand, Mike. Silent Hill Q&A. GamePro. IDG Games Media Group. 1999. （原始内容存档于2000-03-12）. ^ Silent Hill for PlayStation. GameSpot. CBS Interactive Inc. [2010-12-29]. （原始内容存档于2010-09-22）. ^ Fricke, Nicholas. A look inside the Silent Hill Complete set. Siliconera. 2006-08-03 [2010-12-29]. （原始内容存档于2010-04-30）. ^ Plunkett, Luke. PAL PlayStation Store Update: Silent Hill!. Kotaku. Gawker Media（英语：Gawker Media）. 2009-03-20 [2010-12-25]. （原始内容存档于2014-11-06）. ^ Official PlayStation Community. Sony Computer Entertainment Europe. [2010-12-29]. （原始内容存档于2011-07-24）. We have unfortunately had to remove Silent Hill from the PlayStation Store due to unforeseen circumstances. ^ Sliwinski, Alexander. PSN Thursday: In time with Turtles, Silent Hill and George Takei. Joystiq. AOL Inc. 2009-09-10 [2010-12-25]. （原始内容存档于2015-01-28）. ^ プレイステーション - SILENT HILL. Weekly Famitsu. No.915 Pt.2. Pg.6. 2006-06-30. ^ 55.0 55.1 Silent Hill for PlayStation. GameRankings. CBS Interactive Inc. [2008-11-05]. （原始内容存档于2014-10-16）. ^ 56.0 56.1 Silent Hill for PlayStation Reviews. Metacritic. CBS Interactive Inc. [2008-11-05]. （原始内容存档于2012-02-08）. ^ Silent Hill (Greatest Hits). Konami Digital Entertainment, Inc. [2007-07-11]. （原始内容存档于2008-02-12）. ^ Matjiunis, Billy. Silent Hill Review. TVG. TVG Media Ltd. [2008-11-05]. （原始内容存档于2008-12-24）. ^ Perry, Douglass C.; Zdyrko, Dave; Smith, David. Top 25 Games of All Time: #11–15. IGN.com. IGN Entertainment, Inc. 2000-06-07 [2007-07-08]. （原始内容存档于2007-06-19）. ^ Top Ten Scariest Games. GameTrailers. MTV Networks. 2006-10-27 [2008-11-23]. （原始内容存档于2009-04-12）. ^ Hand, Richard J. Proliferating Horrors: Survival Horror and the Resident Evil Franchise. (编) Hantke, Steffen. Horror Film: creating and marketing fear. University Press of Mississippi. 2004: 117–134. ISBN 1-57806-692-1. ^ All-TIME 100 Video Games. Time (Time Inc.). 2012-11-15 [2012-11-15]. （原始内容存档于2012-11-15）. ^ 63.0 63.1 Silent Hill Play Novel – Game Boy Advance Preview. IGN.com. IGN Entertainment, Inc. 2001-01-19 [2008-11-23]. （原始内容存档于2006-06-28）. ^ Lake, Max. Play Novel: Silent Hill Preview. Nintendo World Report. 2001-01-10 [2008-11-23]. （原始内容存档于2008-12-28）. ^ Otto, Jeff. Silent Hill: Director Interview & Exclusive Image. IGN.com. IGN Entertainment, Inc. 2006-03-10 [2011-05-29]. （原始内容存档于2012-05-05）. ^ Silent Hill Reviews, Ratings, Credits, and More. Metacritic. CBS Interactive Inc. [2010-12-29]. （原始内容存档于2010-06-11）. ^ Silent Hill Movie Reviews. Rotten Tomatoes. Flixster, Inc. [2010-12-29]. （原始内容存档于2010-10-27）. ^ Magrino, Tom. Silent Hill: Shattered Memories confirmed for fall. GameSpot. CBS Interactive Inc. 2009-04-06 [2010-12-29]. ^ 70.0 70.1 70.2 Turi, Tim. Silent Hill: Shattered Memories Review. Game Informer. Game Informer Magazine. 2009-12-08 [2010-12-29]. （原始内容存档于2012-10-16）.